In between projects I do what I call "Intuitive and Inspirational Consultations". These are specifically tailored, unique and personalized readings, where I use Astrology, Numerology, Tarot, intuition and other tools to try to inspire, provide insights, illuminate and see the potential in others. I assist people in how they can think bigger and get focused on what really matters. I am curious and empathetic, and aim to see what's happening between the lines. 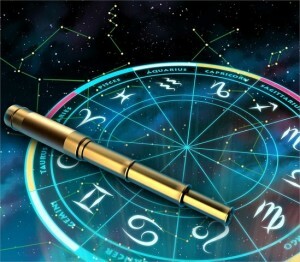 I look at life cycles and trends in terms of your personal Astrology and Numerology. For this I will need your birthdate, birthplace and exact birthtime (preferably from hospital). If I am to use Numerology I will also need your birth name as written on your birth-certificate. I work with natal charts, transits, synastry, composites, returns, progressions, asteroids, event charts, relocation/astrogeography, moon phases, business and pet Astrology. In terms of training I have attended webinars with Robert Hand and Debra Silverman among others. Both are considered to be among the best and most prominent of Astrologers in the world. I have seen thousands of charts during the last decade, and I keep learning something from each one. I have also conducted research in different areas of Astrology. However, I do not do many of these consultations, so for now I will have to be a bit selective with the projects that I take on. I do distance healing sessions as well.